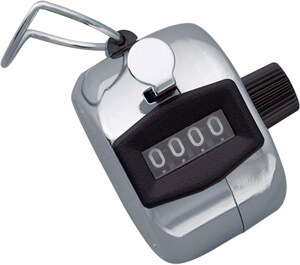 Record and count instantly with this precision counter. Easy action lever changes count with slight thumb pressure and a single side knob turn resets counter to zero. Features 4-digit register that records up to 9999.